Kincade and Carter are gone but Grambling’s still got enough talent to win the SWAC. There’s a bully on the block of the SWAC and that bully goes by the name of Grambling. The G-men of compiled a 32-2 record in the SWAC since 2014 and have gone unbeaten in the conference regular season three years in a row. This season the Tigers return without all-conference players DeVante Kincade and Martez Carter. They also lost the entire starting secondary from a year ago but these G-Men still have plenty of talent to go around. Everything starts up front for Grambling and they just may have best offensive and defensive fronts on the conference. In the front seven defensively, Grambling returns Gameday All-American linebacker De’Arius Christmas and all-conference players La’Allen Clark, Brandon Varner, Linwood Banks, and Le’Andre Hogues. Grambling also improved the talent on its roster in the offseason with several key addition. It brought in Florida transfer tight end Kalif Jackson, quarterback from Arkansas State Aldon Clark, and JUCO transfer linebacker Cecil Cherry who was once a University of Texas signee. 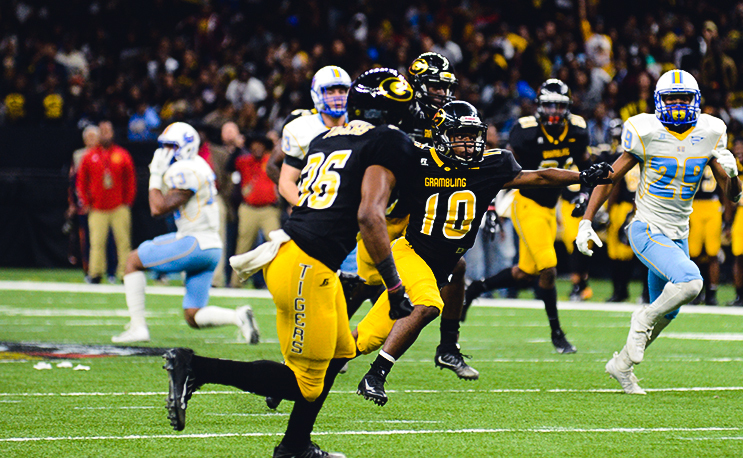 Grambling had a league-high 15 players selected for the pre-season All-SWAC teams and the G-Men were predicted to win another conference title. The Tigers open up at Louisiana-Lafayette who will be welcoming in a new head coach and this could be a big opportunity for Grambling to gets the SWAC’s first FBS win since the 1980s. While Christmas will anchor the defense, finding the answer at quarterback between redshirt freshmen Clark and Geremy Hickbottom.